I got this eyeshadow about a month ago in the shade Scorpio. The product is really sparkly and there are a wide range of shades in this collection. I especially like this one as it is dark with a greeny/yellow shimmer inside. It is certainly a shadow that makes a statement as it isn't subtle on the eye but this fact drew me towards it. In my collection, I didn't have a colour like this and I think it's the perfect shadow for a night time look. My star sign is a Scorpio so that is an added bonus! I wear this colour overtop of my eyeshadow primer, also from Urban Decay, all over my lid. As I have said previously, I am not the best at blending and doing professional looking eye makeup - I tend to just stick with one or maybe two colours on my eye. So this is the only shadow that I wear but I don't think it needs another shade and to be honest, it wouldn't really show up next to it. In addition, I don't wear eyeliner over it but I do try to make my lashes stand out. Wearing this eyeshadow, gives a confidence in my makeup and I really like that. To pair with the shade, I put a nudey/pink lipstick on. The colour pay off is amazing on this shadow! If you look at my last picture, I show a swatch of the product and I only swept my finger in it twice so it truly is well pigmented. It feels nice on the eye and it stays in place without smudging onto your brow bone. When I bought this, I thought that it would be a nightmare to take off but it comes off easily. So if you are looking for a sparkly eyeshadow I would definitely recommend this from Urban Decay. All of the opinions expressed are my own and are 100% honest. Last week was so lovely, it was nice just relaxing and spending time with friends and family. Over the week, I took some photos that I wanted to include in a 'Capturing the good times' post. This is a photo of the chocolate bowl that I had displayed at my Valentine's party. Last Saturday, I invited a bunch of my friends over to spend the evening together. We had such a great time and I hope we can do a similar get together soon. You might have noticed that I made my chocolate hearts from the Valentine's DIY post that I did. I went out for lunch with my mum last Tuesday. This is a photo of my hot chocolate, the quality of the photo isn't the best as I used my phone but I really enjoyed spending time with mum. A few days later, I met up with my one of my friends who I have known since we were younger. We went shopping together in the town in which she lives. In each other's company we tend to go overboard and buy lots and lots!! It was just lovely seeing her as we don't live near one and other. The first picture is of the shopping basket in Boots, it certainly got fuller as we wandered around. I'd just like to point out that we shared the basket - I didn't buy two of the same nail polishes! The second picture is my shopping bag, it was so difficult to carry as I bought 4 big folders!! 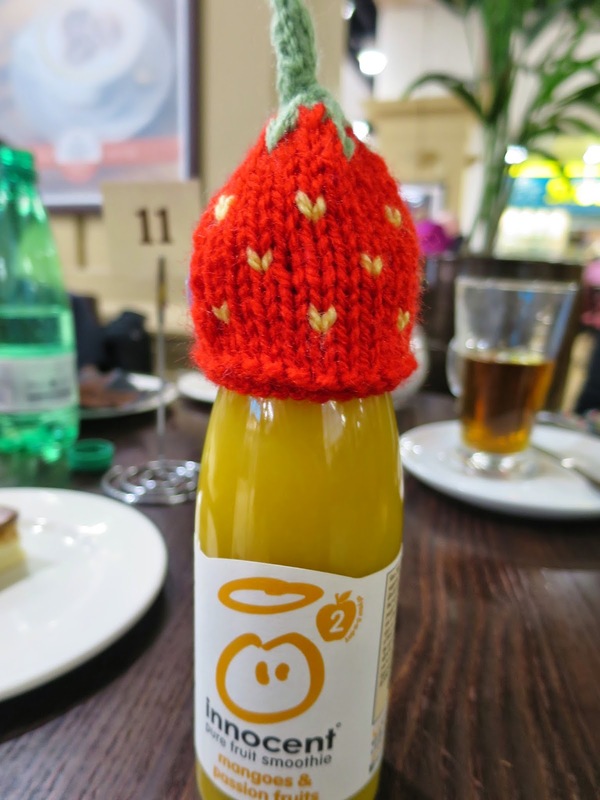 Finally, I took a photo of the innocent smoothie that my friend had, I thought it was so cute with the little strawberry hat! Mum and I went to Birmingham for a girly day out on the Friday. We took the train in and headed into the Bullring Centre. Before we went shopping, we stopped for lunch at Jamie's Italian which was really nice. I realise most of the pictures I've shown feature food because I got a bit (very!) excited in Selfridges when they had a whole display of Lucky Charms! The day was lovely and I especially enjoyed it as I was with my mum! If you would like to leave me a request for a future post, feel free to do so! Have a good day! When I heard that Tanya was releasing a book, I automatically wanted to buy it. I really enjoy books where you can read certain sections and not have to go from start to finish. Although I like beauty/fashion chapters, Love Tanya includes many sections that aren't beauty related as such as her life chapter. These chapters give you inside knowledge on Tanya that you probably wouldn't have known before. I find certain pages, especially the confidence and happiness section, nice to read when you are having a bad day and you want something that will cheer you up. The front cover is so pretty!! It is just one of those books that you want to display in a room. I like how there are many photo squares, describing the contents of the book. Within, the photography is really good; each chapter has one/two photos of Tanya that relates to the topic. On either Tanya's social media or on her blog channel, she mentioned that she took the photos for the baking section herself! As for the baking chapter, the food/drinks looked really appetising and easy to make. 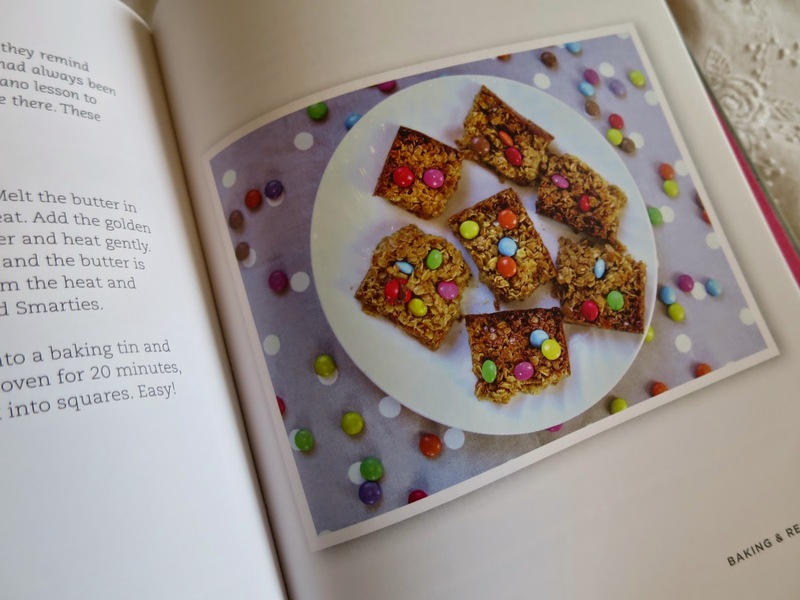 I wanted to try a recipe of hers out and see how it goes - I've decided to go with the smartie flapjacks! I cut mine into smaller pieces and I think they turned out well. My photo doesn't look as good as the one in the book though!! It is clear that Tanya has put her heart and soul into this book, it is a lovely keepsake for her but also for the readers. Inside, she features short list pages where you can get involved to share your thoughts and favourite things! Love Tanya was a really enjoyable read; I will continue to read over parts and try out her tips and tricks! 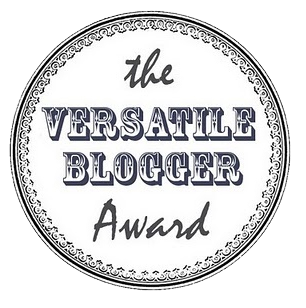 A few days ago I was nominated for the Versatile Blogger Award by One More Girl Online - I'd like to thank you for tagging me! Thank the person who nominated you and include the link to their blog. 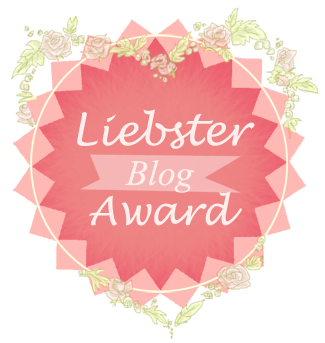 Choose 15 blogs that you enjoy reading and nominate them. Include in a post or tell the person who nominated you 7 facts about yourself. My twitter is @making_camera if you need to contact me or feel free to leave me a comment. My wardrobe mainly consists of pieces that are black/white/grey. I'm not really a fan of too much colour. Recently, I have really loved Death in Paradise and I watch it every week. I don't normally watch actual Tv - mostly I'm on Netfilx - but I really like that program! Badminton is my favourite sport and I play it at least twice a week. I'm definitely a Costa's girl - I don't like Starbucks much to some people's amazement. Avril Lavigne has been my favourite artist since I was young; my most-listened to song is Sk8er Boi. If I have a takeaway, my vote is always for Chinese. I have a beautiful dog who I love very much - she's so sweet. As Valentine's day is around the corner, I decided to make 3 DIY's and share them with you. These are really easy to make and the components are affordable. All of these DIY's can be adapted to be given to friends or someone special. Normally, I am the worst at projects but I'm glad at how these turned out! For this DIY you will want a plain mug and a oil-based sharpie. I must stress that the oil-based ones work so much better than regular sharpies as they keep the design on after washes. For my design, I just went with a simple row of dots around the top of the mug, a love heart on one side and XOX on the other. So after drawing on the mug, you put it in the oven for 30mins at 180 degrees centigrade and voila - you have your sharpie mug! I think that this could work well as the centre-piece of a gift if you put a collection of sweets inside!! I wasn't really sure what I should call this DIY but I guess they are personalised. This idea works with so many different sweets and you can really put your own individual spin on it. What I did was buy a packet of millions, write 'Love You' on a sticky label and stick it on before the millions logo. The whole idea is to write something, that can lead to what the sweet is named so mine was 'Love you millions'. I'm sure that you can think of other ideas but this one just popped into my head. I was thinking what I could do with chocolate because chocolate is a tradition on Valentines Day and I thought that this was a really easy gift. To start you will need: chocolate, sprinkles and a freezer tray - mines a heart one but you could use a regular one if you don't own one of them. You then melt the chocolate (I know mine has rice krispes in it but any chocolate works) and whilst you are doing that, put the sprinkles into the individual spaces so it covers the bottom area. When the chocolate has melted, you pour it onto the sprinkles, filling up the spaces up to the top. Finally, you leave the tray in the freezer until they are set - I left mine in overnight. This is a great idea if you wanted to bag a couple up and present it that way. What are you up to on Valentine's Day? I am one of those people that always says, 'I really want to read that', when referring to a book title, but never actually does. It gets to a suitable time in the evening and I find myself watching Youtube/Netflix/TV; I then forget that I wanted to read for a bit so I go to bed without looking into my book. When I was younger, I was an avid reader. Nowadays, especially last year, I only read about twice a week. So I am going to 'take another shot at reading'. As you may have previously read, there is saying that I like to live my life by. I'm sorry if I seem to be repeating myself but just incase you are unaware of it:'Life is like a camera, focus on what's important, capture the good times, develop from the negatives and if things don't work out, take another shot', and taking another shot is what I want to do. I would like to find time to sit down with a book and immerse myself in it- actually reading the books before I watch the movie! My friends are always chatting about what books they are reading and I want to involve myself more in that. In terms of goals, I'm not going to say to myself that I should read a book a week because you never know if you will have time to do that. I just want to make an active effort to pick up a book most evenings and read for 20mins or so. If I can, I'd like to read the Harry Potter series this year. I grew up with the films and I haven't read any of the books! If you have any book suggestions, I'd love to know! I love roasts but my favourite part would be stuffing and gravy - if you can have a preferred combination. I would have that as a meal if it was up to me! As I don't like tea, I don't really 'dunk' biscuits but my favourite biscuits are custard creams. Having afternoon tea and I especially love it if I am with family. This is definitely 'brill', I say it all the time! When I was younger, my mum always used to say 'apples and pears' meaning stairs. So, I remember that particular one the most. Wine gums and if I can do a chocolate favourite it is the galaxy honeycomb bar. I thought long and hard about this - I'm going to go with 'The Bee's Knees'. It sounds British, yet it implies that the food is good and also pubs tend to use animals in their names? I'm waffling but, yes, that would be my pub name. Emma Watson - she is an amazing actress and the Harry Potter films bring back good memories. My favourite shop is Selfridges and restaurant wise, it is Pizza Express. I wasn't tagged but I thought it would be fun to do!